There’s a lot of old school movies that I love, but How to Marry a Millionaire is easily in my top three. There’s something about the writing, the cast (Monroe! Grable! ), the clothes, and most of all: Lauren Bacall. As much as I love a good classic film noir, there was something about Bacall in a comedy that really hit all the right notes–between her dry delivery and superb timing, there’s a lot of reasons I always come back to this movie as one of my favorites. How perfect are those outfits? In one of the ways to better marry (Eh? EEEH? Get it?) 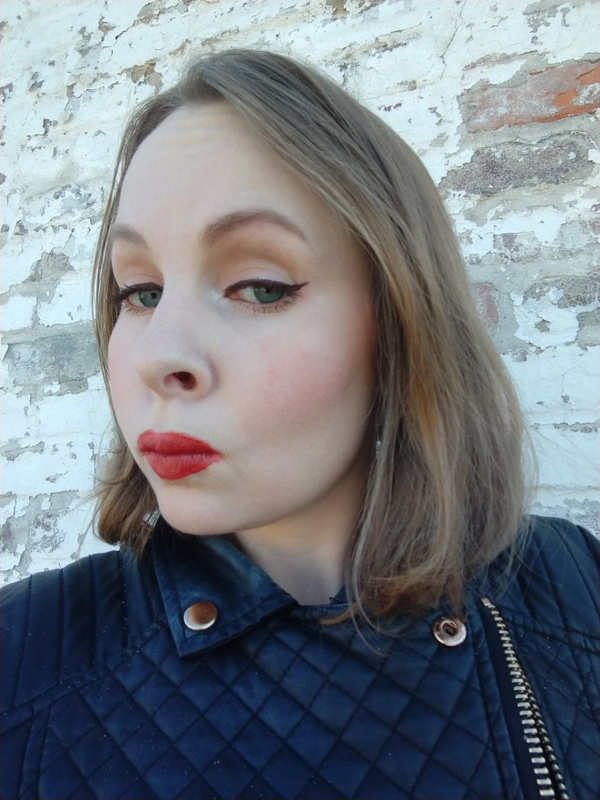 the makeup and vintage portion of this blog together, I’ve decided to try and make it a monthly challenge going into 2018 to do a makeup look similar to that of a particular starlet. I’ll do my best to also recreate the hair, but given that mine is feral, I’m not going to get worked up over it. Starting off, this series, I’m going to go off this movie to start and go with my favorite lady, Lauren Bacall. 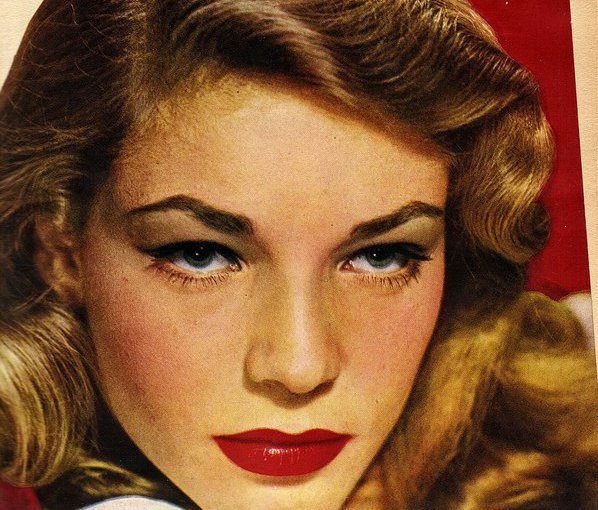 Bacall, prior to being a leading lady was a model. She had gotten her start in 1944 with her future husband, Humphrey Bogart, in To Have and Have Not. From there, she worked on several other films with him (primarily in the film noir genre) before How to Marry a Millionaire in 1953 with Marilyn Monroe and Betty Grable. The movie itself is about three bachelorettes in New York attempting to find millionaires to marry before stumbling on love with men they least expected. Though Bacall’s makeup is not particularly noteworthy in the movie, I’ve found an ad for her makeup I particularly like. This ad emphasizes a lot of blush–which is something I struggle with in terms of placement and amount (and exactly why I got for sheerer formulas). As this is something I want to get better at, this is why I focused on this particular one for a recreation look. Looking at the picture, there’s some evident things right off the bat: this was likely something done in the very late 1940’s, early 1950’s. 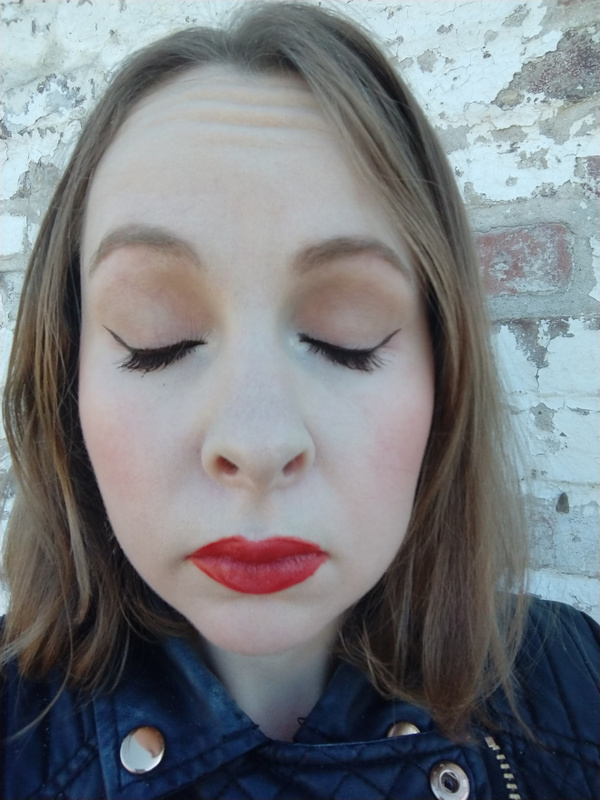 The eyes are generally clean (albeit, hooded) with a small, winged liner. It was all done in black. Blush was strong and on the outside of the apples of the cheek, but laid on thick. The lips were stereotypical red, but with a hint of shine. 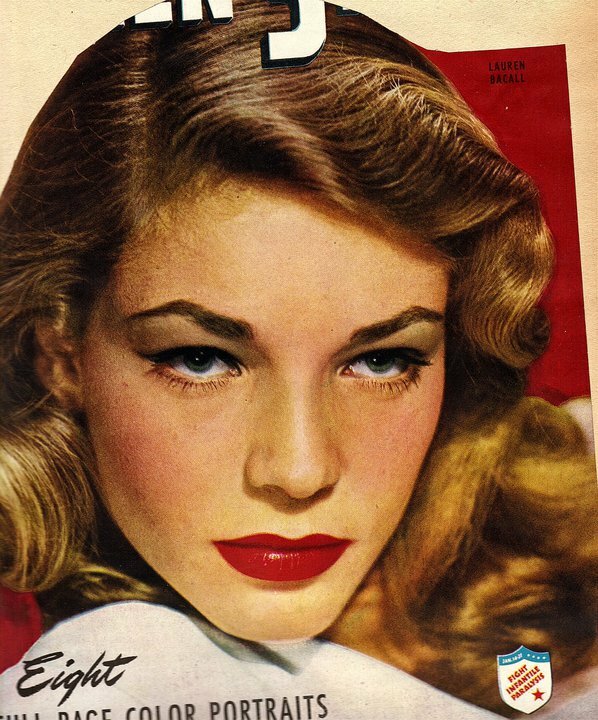 The skin was very clean; Bacall had defined cheekbones so there wouldn’t be as much need for contouring and there was likely none of that present in this look for this advertisement. If I squint, I can pick up on maybe a very slight amount on her nose, but that’s only if I squint. Another observation is that her brows were very thick with a defined arch. This is definitely something that is within my skill set, but would force me to be cognizant of application, which is the name of the game here. I always start with a normal skincare routine, but after having let it settle, I always go to the priming steps. 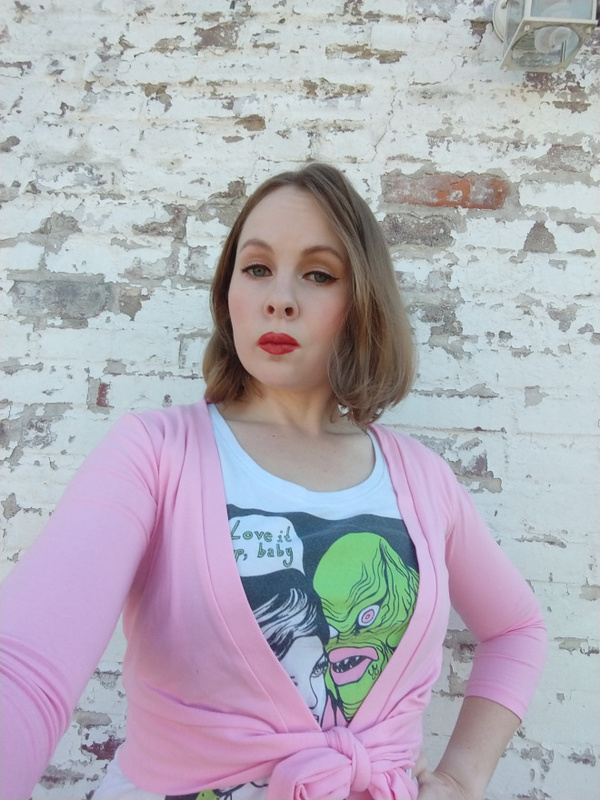 In this particular case, I wound up using MUFE Step 1 Primer in Redness Reduction, BITE Beauty Agave Lip Mask, and the Urban Decay Anti-Aging Eye Primer. These products lay the foundation for a smooth, vibrant canvas. Once they were set, I started with the eyes. The MUFE Artist Shadow in M500 as a base (this has since been discontinued, but has a sister shade in M500 in the new Artist Color Shadow in M500 which is slightly more yellow-undertoned.) After extending that up to the brow bone, I used MAC Omega in the crease. After that, a bit of MAC Nylon in the tearducts and inner eye to make it appear larger. (A trick Marilyn Monroe used to use!) 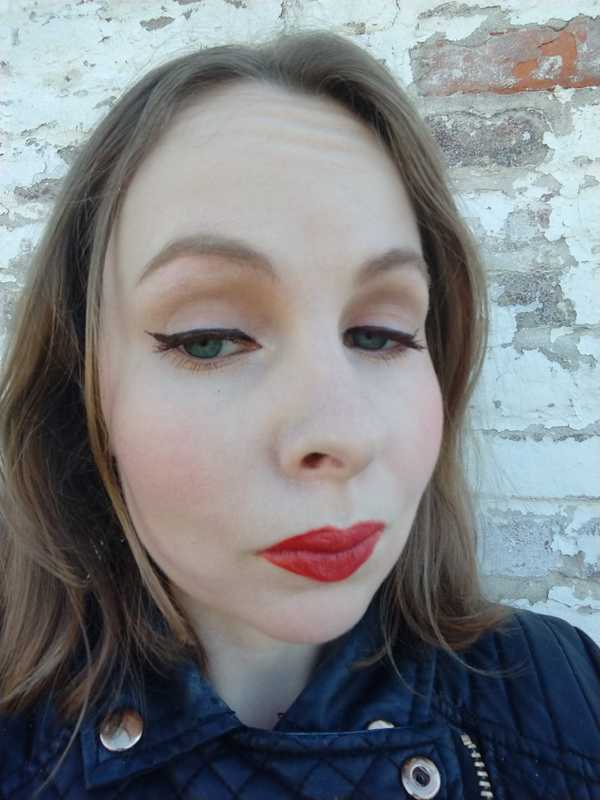 From there, tightlined with the Marc Jacobs gel pencil eyeliner and the Physician’s Formula liquid eyeliner to get the smaller cat eye shape. Once the eyes were complete, I moved onto my face. I started with the YSL Touche Eclat Radiant Touch for a color corrector for my under-eyes. After that was done, I used about 3 pumps of the MUFE Water Blend (my beloved) to even out my skin tone. From there, a healthy amount of MAC Blushbaby for a natural looking blush with a bit of the MUFE Artist Face Shadow in S112 for sculpting under my cheeks to give the appearance of a more chiseled cheekbone. And that concludes this month’s attempt. Each month will be a different Hollywood starlet, and I haven’t picked February’s, but I’ll be working on something I can replicate. Let me know if you have any ideas or thoughts. Much like leopard print and mutton chops, blue eyeshadow is one of those things that immediately and knee-jerkingly provoke images of dated, “tacky” vintage in the hearts of many. Or, if you have a soft spot for late 90’s through early aughts television, it invokes the image of Mimi Bobeck from The Drew Carey Show. This is unfortunate. Blue eyeshadow is one of those things that can really make a person’s eyes pop, depending on the shade. Although it didn’t start in the 1960’s (it was used commonly in the 1950’s), it was a very popular shade during that time. This was also the time makeup started to help evoke an individualized identity beyond fitting into standard society. Looks became more diverse (especially compared to the 50’s, where looks were largely the same across the board) as subcultures started to grow, especially as the Civil Rights and feminism became more of an issue for many. People wanted to be less cookie cutter, and with it, so did their makeup trends. 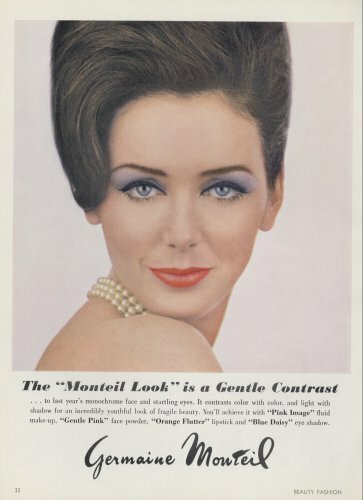 Given that we’re fifty years out and still having similar issues today of individualism vs. collective society, I’m all for bringing back blue eyeshadow to help establish individuality. 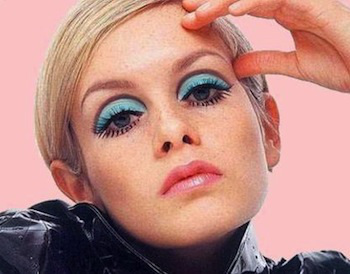 Here are some ways in which blue eyeshadow contributed to doing that during the 60’s. When you think of mod style, there is one name that jumps out at anyone familiar with the subculture, and that is Twiggy. The particular pastel shade of blue she wore made her eyes pop, particularly when paired with her trademark dramatic cut crease. Mod subculture was started in Great Britain in the late 1950’s, eventually coming across the seas and influencing Americans. Some of the hallmark traits included an affinity for modern jazz (hence the name), sharp Italian clothing with bold, geometric prints and bright colors, and was an extension of beatnik culture. Prior to mass commercialism, many individuals who identified as mod were highly interested in pursuits related to philosophy and art; this was the onset of when clean cut began to be phased out by longer hair styles (for men and women) and higher hemlines on skirts. As such, with the boldness and brightness came an affinity for pastels, including blue, as seen above. Although the youth were beginning to diversify their makeup, there were still many women (especially in high society) that clung to glamorous looks. 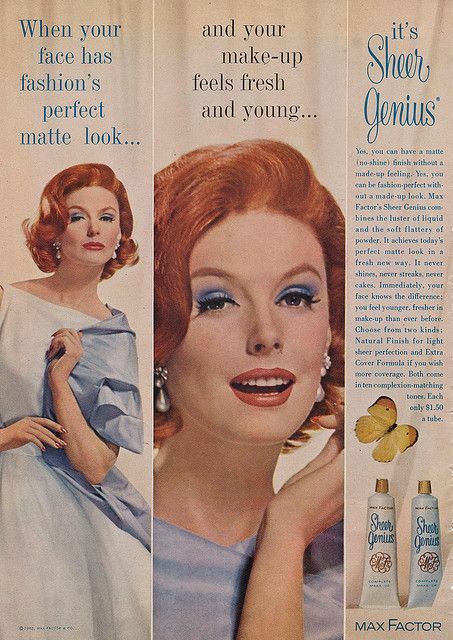 Blue eyeshadow, although not created in the 1960’s (it was worn in the early 1950’s), still had a hold on many women. In higher society, the blue eyeshadow tended to take on more of a gray-ish tone; another way of holding onto past years. Gray eyeshadow was very common in the earlier century, and this cooler, gray-toned blue helped bridge the divide between the youth of the day and traditional glamour. This being said, it was not the only way. Max Factor was a brand that also largely worked in the movies up until being sold in the early 1970’s. During the 1960’s, it had expanded into department stores (think of it similarly to brands like Clinique or Estee Lauder today.) The subculture which embraced it tended to prefer matte formulas (as seen above and the “Monteil Look”), whereas more youthful looks gravitated towards less matte and more shine. 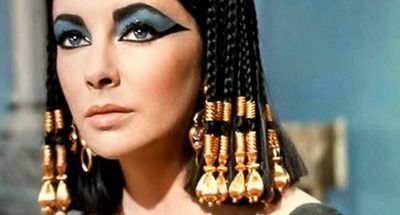 In 1963, a little movie by the name of Cleopatra came out, starring Elizabeth Taylor and Richard Burton. As far as Hollywood stories go, it is one of the most famous for several reasons; the intrigue between Taylor and Burton, the sheer amount of time it took to film (and how long the film runs in general), and behind the scenes conflicts. When the movie came out, there was also a marketing push for Revlon to create a product line and tutorial inspired by the movie. A copy of these images can be found at She was a Bird. 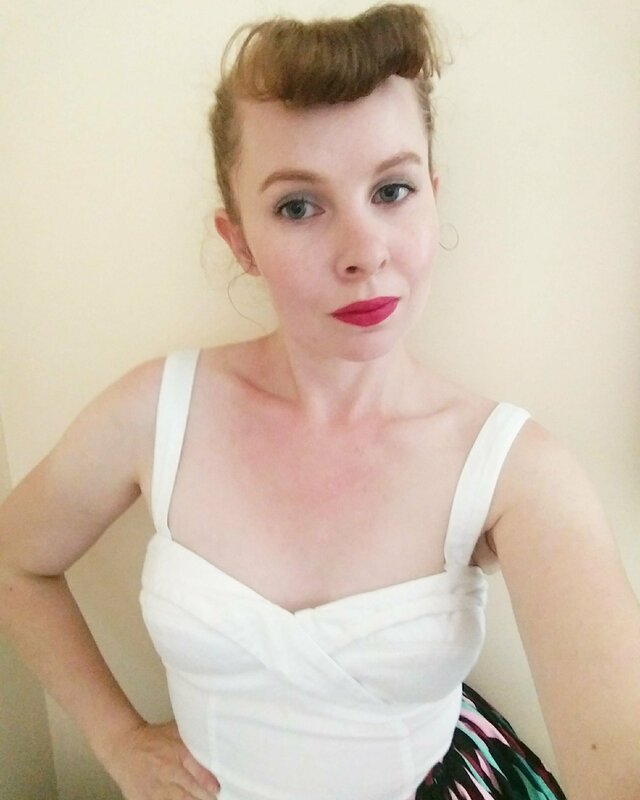 This look is one of the more iconic Hollywood roles and has been replicated several times over by celebrities and magazines when trying to remember Hollywood nostalgia. Alberto de Rossi created the initial look, but when he became too ill to continue to assist on the movie, Elizabeth Taylor herself was able to reproduce it successfully enough to paint it on herself and was filmed doing so in a future movie. As a sidebar: although it was not an issue back then (especially for the commercial aspect of selling the movie), it likely wouldn’t fly today without (and reasonably so!) controversy behind having a white American woman play the role of an Egyptian woman. Please exercise consideration if this is a look you intend to pursue; culture is not a costume and nor should it be treated like it! There are tons of brands today that create a blue eyeshadow to suit multiple skin tones and with various finishes. 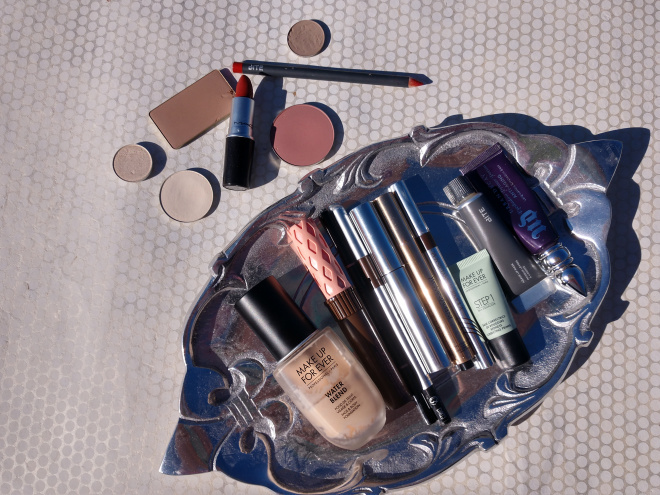 Professional brands such as MAC Cosmetics and Make Up For Ever have a wide variety available for purchase. For me, personally, I am a huge fan of Sugarpill Cosmetics’s Home Sweet Home. Sugarpill Cosmetics is a brand that is cruelty-free and this particular shade is vegan. It’s a well beloved brand, particularly in the drag art community for the variety of colors it offers. Home Sweet Home is a perfect matte, powder blue formula that really encapsulates the pastel shade of the era. It is a cooler shade of blue, but not so cool that it would be difficult for people with yellow or warmer undertones to pull off. I do think it would work well on darker skin tones, but I would be concerned about it potentially being ashy on very dark skintones. In my experience, it requires a base shade (so something closer to your natural skin tone first) to go down first before you get the intended pay off and it has to be layered. Some people may not prefer this, but with these colors that can be punch-in-the-face bright, I personally prefer it because I would rather build it up. Additionally, another perk of that kind of formula is significantly less fall out (or less of the powder falling off your eyes and onto your face). Whenever I do not use a base shade (as seen above), it actually tends to pull more gray on me, and I suspect this is largely due to my yellow undertones. If that is a look you are intending to recreate, this is how I would recommend doing it, but I cannot guarantee people with olive, beige, pink, or neutral undertones would be able to have the same effects due to skin pigmentation. As an eyeshadow itself, even if I use my tried and true eye primer, I find that it does fade by the end of the day in color and becomes less opaque. This is not a concern of mine, but as I want to provide an honest review, if this is a concern of yours, it may be something to consider prior to making the purchase. Although things have changed since the 1960’s, I still think it remains the same that blue eyeshadow is a characteristic to help establish your identity and what subculture (if any) you may belong. Today, some might think blue eyeshadow is a characteristic of a time long ago, but it still can be used in fresh and vintage-inspired ways to show who you are.